This column is a follow-up to my last, about protecting the rights of injured children. This week I’m writing about limitation periods for children’s ICBC claims. Until I teased her to death, I had a friend who used to say, as an emphasis of finality: “…period, end of story”. Get to the end of a limitation period without commencing a lawsuit and, indeed, it might be “end of story” for your legal rights. We have laws that impose deadlines for the exercise of most legal rights. 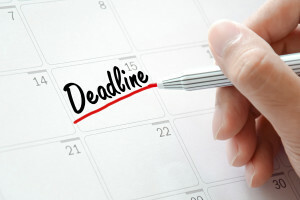 Whether those rights arise from a contract, trespass on your property, slip and fall or car crash injury, a lawsuit must be commenced to enforce those rights within some deadline. Fail to do so and those legal rights might forever be lost. Why? How would you like it if you were sued over some event that happened 25 years ago? A year passes after the event, and another. After a while your memory of what occurred starts to fade. The more time ticks away, the more evidence starts to fade and eventually disappear. For someone to sit back and wait until you have no ability to defend yourself before pouncing on you with a lawsuit would be unfair. Different legal rights come with different limitation periods; some as short as 6 months. Others, such as a claim related to child sexual abuse, can be much, much longer. There are also some laws that require “notice” of a legal claim to be provided within much shorter deadlines. Fail to meet those notice requirements and your rights might be lost as well. Anyone with a potential legal claim should consult with a lawyer to find out about any applicable notice or limitation periods. An inexpensive way to do this is to access the Lawyer Referral Service, a program funded by the Law Foundation of British Columbia that enables members of the public to have a consultation with a lawyer, up to 30 minutes, for a fee of $25.00 plus tax (1-800-663-1919). The “protecting children’s rights” aspect to limitation periods arises because children’s claims arising from car crashes have two different limitation periods. How’s that for confusing!? The more commonly known relates to the claim against the negligent driver(s) (typically defended by ICBC), and is a two year clock that doesn’t start ticking until the child reaches age 19. This is the one ICBC adjusters don’t mind telling you about. The other relates to a claim directly against ICBC. It’s also a two year clock, but it starts ticking on the day of the crash and could stop ticking as early as the second anniversary of the crash, even if the crash victim is a young child. With children’s ICBC claims limitation periods, it is crucial both are taken into account. It is this “other” limitation period that is missed from time to time, to the detriment of the child because it takes both sets of rights, put together, to result in full, fair compensation for the child’s injuries and losses. Don’t let this happen to your child, niece or nephew, grandson or granddaughter. If a young person in your life has been injured as a result of a motor vehicle incident, ensure a lawyer is consulted so that applicable notice and limitation deadlines are not missed. Children’s ICBC claims limitation periods need not hinder the child you care for from receiving compensation.